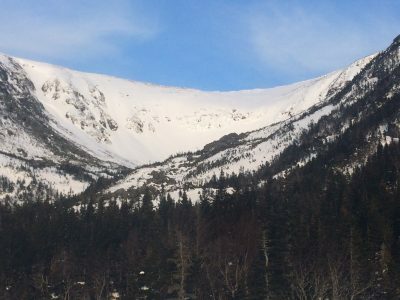 Tuckerman Ravine a location near and dear to Al Risch’s heart so much so that he founded an organization to preserve the location. CONWAY, NH – A skiing legend in the Mount Washington Valley has passed away. The Conway Daily Sun Reports that the Cowboy of the Mountains Al Risch passed away Saturday at the Merriman House at Memorial Hospital at age 85. Risch had been living at the Merriman house for the past year do to declining health. He was the founder of the Friends of Tuckerman Ravine, the Professional Ski Patrol Association, and the Mount Washington Valley Chapter of Habitat for Humanity. He leaves behind quite the legacy including many humorous stories of adventures shared with friends on the mountains he loved so much. One such story told to the Sun from Al’s son Jake was the creation of the Al’s Folly, a trail at Wildcat that Al created without the approval of the Forest Service. The story highlighting Al’s ask for forgiveness rather than permission attitude that garnered him the nickname of the Cowboy of the Mountains. Al’s legacy is a great one not just affecting the Valley but also the nation as standards he helped develop for paid ski patrollers remain in use to this day. Risch leaves behind his loving wife, Alison, sons Jake and Matt, and granddaughter Naomi. His family said that at Al’s request there will be no visiting hours but a celebration of life will be announced at a future date.